For the prior version of this document, click here. This website and all of the tools and services offered on our website are owned and operated by ServiceRocket Inc., formerly known as CustomWare Asia Pacific (USA) Inc. (“ServiceRocket”). Your privacy on the Internet is of the utmost importance to us. 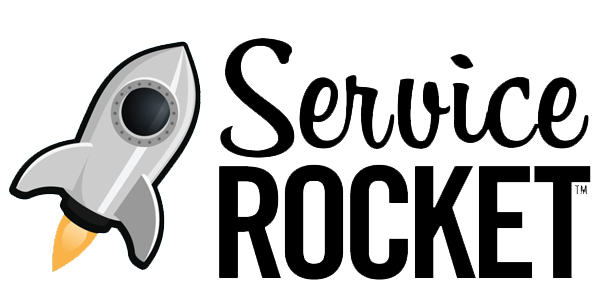 At ServiceRocket, we want to make sure your experience online is both satisfying and safe. If you have any questions at any time please contact ServiceRocket at privacy@servicerocket.com. ServiceRocket is responsible for the processing of personal data it receives, under the Privacy Shield Framework, and subsequently transfers to a third party acting as an agent on its behalf. ServiceRocket complies with the Privacy Shield Principles for all onward transfers of personal data from the EU and Switzerland, including the onward transfer liability provisions. With respect to personal data received or transferred pursuant to the Privacy Shield Framework, ServiceRocket is subject to the regulatory enforcement powers of the U.S. Federal Trade Commission. In certain situations, ServiceRocket may be required to disclose personal data in response to lawful requests by public authorities, including to meet national security or law enforcement requirements. This Policy applies to all information collected or submitted through our Services. The information we collect and use is limited to the purpose for which the customers engage ServiceRocket and other purposes expressly described in this Policy. For example: on our website, you can order products, make requests, and register to receive materials and/or sign up for services. The processing of your information or any information you provide through any of the Services will be done in accordance with the Policy. Personal Information means information or information set that identifies or could be used by or on behalf of ServiceRocket to identify an individual. If you choose to use our referral service to tell a friend about our website, we will ask you for your friend’s name and email address. We will automatically send your friend a one-time email inviting him or her to visit the website. ServiceRocket stores this information for the sole purpose of sending this one-time email and tracking the success of our referral program. Your friend may contact us at privacy@servicerocket.com to request that we remove this information from our database. Through our “import contacts” feature on our Learndot product we may collect the name, email address, phone number, birthdate, account name, title, and password help text, of specified contacts that you provide in order to create contact records in your particular Learndot instance on your behalf to allow you to designate access to learning content inside of our Learndot product. When you provide us with personal information about your contacts we will only use this information for the specific reason for which it is provided. If you would like to request that it be removed at any time from our database, please contact us at privacy@servicerocket.com. We may also disclose your personal information as required by law such as to comply with a subpoena or bankruptcy proceedings or in response to lawful requests by public authorities, including to meet national security or law enforcement requirements, if ServiceRocket is involved in a merger, acquisition, or sales of all or a portion of its assets, you will be notified via email and/or a prominent notice on our Web site of any change in ownership or uses of your personal information, as well as any choices you may have regarding your personal information. We use tracking information to determine which areas of our websites users like and don’t like based on traffic to those areas. We do on occasion track what individual users read to determine if a particular article has been read and if such subject matter is interesting to our users. Finally, we NEVER use or share the personal information provided to us online in ways unrelated to the ones described above without also providing you an opportunity to opt-out or otherwise prohibit such unrelated uses. To this end, we would alert you prior to such disclosure and allow you to either electronically as part of the notification or in writing, to opt-out or prohibit us from sharing such information. To prevent unauthorized access, maintain data accuracy, and ensure the correct use of information, we have put in place appropriate physical, electronic, and managerial procedures to safeguard and secure the information we collect online. We use industry standard methods of securing our electronic databases of personal information. For example, when you enter sensitive customer information (such as login credentials), this information is transferred via industry standard Secure Sockets Layers (SSL) and our databases are protected by 2 layers of firewalls. Except as provided elsewhere in this Policy, we limit access to personal information in electronic databases to those people in our organization that have a business need for such access. Your privacy is very important to us. Due to factors beyond our control, we cannot fully ensure that your personal information will not be disclosed to third parties other than those mentioned above. For example: we may be legally required to disclose information to the government or a third party under certain circumstances such as responding to a subpoena, court order or to exercise our legal rights or defend against legal claims, or third parties may unlawfully intercept or access transmissions or private communications. If you have any questions about security on our Web site, you can contact us at privacy@servicerocket.com. Protecting the privacy of the very young is especially important to ServiceRocket. For that reason, we never collect or maintain information at our website from those we actually know are under 13, and no part of our website is structured to attract anyone under 13. You may choose to stop receiving our newsletter or marketing emails by following the unsubscribe instructions included in these emails or you can contact us at privacy@servicerocket.com. 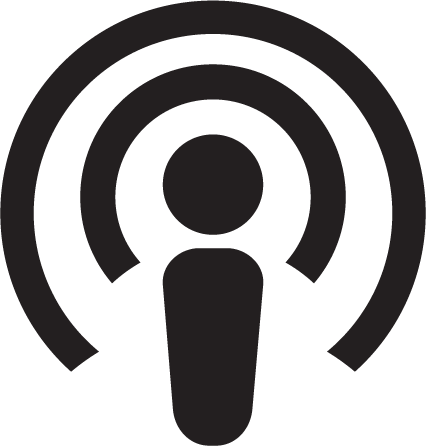 We use Local Storage, such as HTML5, to store content information and preferences. Third parties with whom we partner to provide certain features on our website or to display advertising based upon your Web browsing activity use LSOs such as Flash cookies or and HTML 5. Various browsers may offer their own management tools for removing HTML5 LSOs. To manage Flash cookies, please click here. We display personal testimonials of satisfied customers on our website in addition to other endorsements. With your consent we may post your testimonial along with your name. 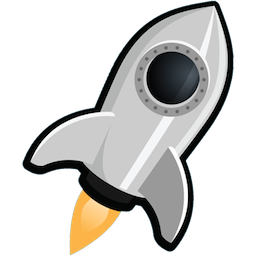 If you wish to update or delete your testimonial, you can contact us at privacy@servicerocket.com. Where we can provide information access and correction, we will do so for free, except where it would require a disproportionate effort. Please contact us at privacy@servicerocket.com. We will respond to such queries within a reasonable timeframe. We will retain personal information 6we process on behalf of yourself for as long as needed to provide the Services to you, subject to our compliance with this Policy. We may further retain and use the information as necessary to comply with our legal obligations, resolve disputes, and enforce our agreements. Our Site includes links to other Web sites whose privacy practices may differ from those of ServiceRocket. If you submit personal information to any of those sites, your information is governed by their privacy policies. We encourage you to carefully read the privacy statement policy of any Web site you visit. ServiceRocket collects information under the direction of its Clients, and has no direct relationship with the individuals whose personal data it processes. ServiceRocket acknowledges that you have the right to access your personal information. ServiceRocket has no direct relationship with the individuals whose personal data it processes. An individual who seeks access, or who seeks to correct, amend, or delete inaccurate data should direct his query to the ServiceRocket’s Client (the data controller). If the Client requests ServiceRocket to remove the data, we will respond to their request within a reasonable timeframe. Upon request ServiceRocket will provide you with information about whether we hold any of your personal information. You may access, correct, or request deletion of your personal information by contacting us at privacy@servicerocket.com. We will respond to your request within a reasonable timeframe. ServiceRocket will retain personal data we process on behalf of our Clients for as long as needed to provide services to our Client. ServiceRocket will retain and use this personal information as necessary to comply with our legal obligations, resolve disputes, and enforce our agreements.